If performance is important to your application, then React is the way to go. An important part of efficient development is the use of an IDE. An IDE, or Integrated Development Environment, is an application that offers a suite of tools to a developer. 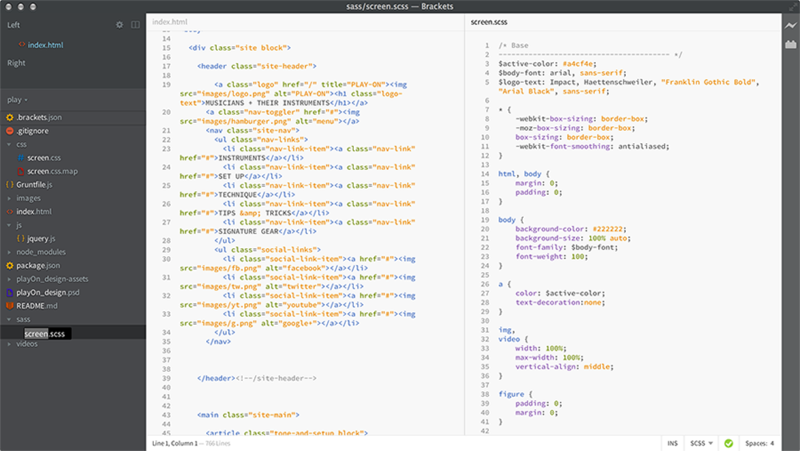 The most important of these tools is typically a rich text editor, which often offers syntax highlighting, autocomplete, and keyboard shortcuts that speed up annoying manual processes. 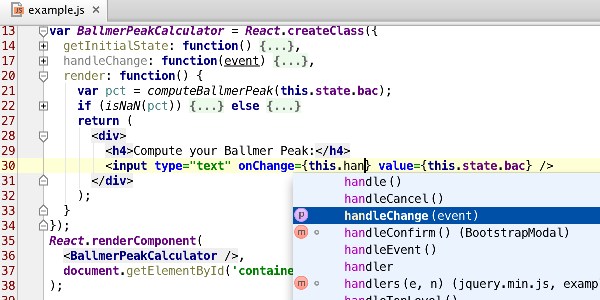 One of the nicest features of WebStorm is the Live Edit functionality. 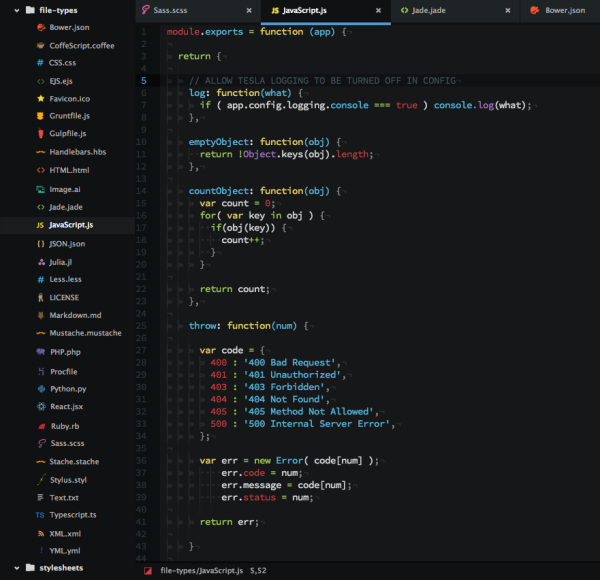 By installing a plug-in into both Chrome and WebStorm, a developer can make source code changes that are instantly reflected in the browser. Developers can also configure Live Edit to highlight the changes that are made in the browser window, making both debugging and coding highly productive. HTTP requests are expensive. On top of the payload size, you also pay the costs of network latency, headers, and cookies. Bundling and minification tools are designed to reduce or eliminate these costs entirely. Note that I broke the minified output into 2 lines to be able to display it to you in this article. The actual output of minification is typically a single line. Usually, the bundle and minify steps are only done in production. This is so that you can debug your code locally or in a development environment as-is, complete with formatting and line numbers. Debugging the minified code above would be difficult; all of the code would be on line 1. Minification makes the code completely unreadable, which would be useless and frustrating for you to attempt to debug. A linting tool analyzes your code for common mistakes and deviations from defined formatting rules. The kinds of errors reported are things like using tabs instead of spaces, missing semicolons at the ends of lines, or curly braces without an if, for, or while declaration. Most IDEs come with linting tools; others offer the ability to install a linting plugin. Grunt supports named targets so that you can specify different commands for different environments; you could define “dev” and “prod” as targets for example. This is useful for scenarios such as bundling and minifying your code in production but leaving it alone in the development environment so that it is easy to debug. A useful feature of Grunt is “grunt watch” which monitors a directory or set of files for changes. 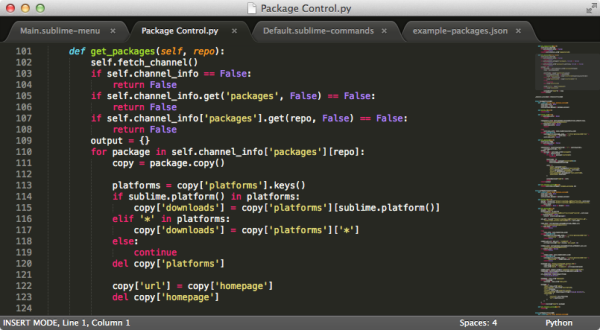 This can be integrated directly with IDEs such as WebStorm and Sublime Text. By using watch, you can trigger events based on file changes. A practical application of this approach is LESS or SASS compilation. By configuring grunt watch to monitor your LESS or SASS files, you can compile them immediately whenever a file is changed, making the output of the compilation immediately available to your development environment. You could also use grunt watch to automatically run a linting tool against any file that you edit. Real-time execution of tasks via grunt watch is a terrific way to boost your productivity. I recommend that you use whichever one you prefer. Both of these tools are typically installed via npm, the Node.js Package Manager. David Haney is the core team Engineering Manager at Stack Exchange, creators of question and answer websites such as StackOverflow and ServerFault. He spends his days supporting developers by solving problems and improving processes. He was previously a lead developer on Fanatics' e-commerce platform which hosts over 10,000 websites including the NFLShop - The Official Online Shop of the NFL and NBAStore.com - The Official NBA Store. David is the creator of Dache, an open source distributed caching framework. His spare time is spent drinking beer and participating in community user groups and programming events - often simultaneously. 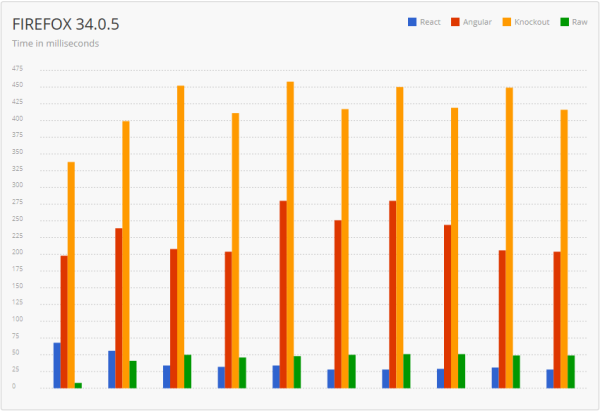 only thing I wonder is, that from my experience knockout felt way faster than angular (as it iterates lots of values to detect changes), so the benchmark somewhat surprises me. And Github, unlike good ol' Sourceforge, is a good mine full of projects ready to use. You haven't worked with C# for a while I guess. NuGet is around 5 years old and allows you to do exactly that - import " packages" with one command. As Darren pointed out, C# (.net) does have a package manager called nuget. Thanks .. funny enough I moved from angular to knockout because of performance issues and never looked back so far. On a side node its really annoying how often bloggers/authors get their benchmarks fundamental wrong and what's even more annoying are other bloggers copying those results without verifying .. I wish the content would be more aligned to your experience @ Stack Exchange and what is used there instead of generic article touching different elements of JS. After reading the article my take is that there is lot going on in JS. or frameworks (numerous) - know there is no silver bullet but would like to know your preference and why. or all of the above and still we are discounting the move towards isomorphic apps and new libraries like falcon from netflix. Again thanks for all your efforts in putting together the article but I think it could have been better. One more good lightweight JS framework is Backbone. 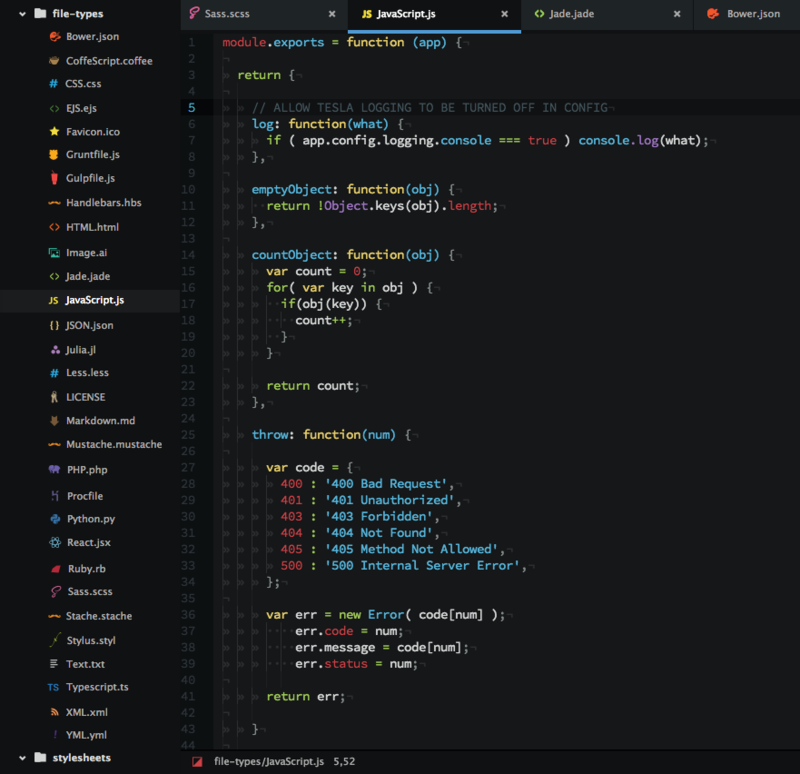 It has only one dependency – Underscore.js, that provides useful functional programming helpers: map, filter, invoke — as well as more specialized functions. I used this framework in one project at Redwerk Software, and found it very useful. It was primarily designed as an alternative to more heavyweight frameworks and Backbone.js is much faster than AngularJS, especially for large web pages. But, while Backbone.js has a better performance profile than AngularJS, this can be offset by Backbone-based web apps requiring a larger, less stable code base. So, everything based on your needs, but, at least, you can try to look at this framework. Redwerk's customers were satisfied. For our Adoriasoft clients we use mainly Backbone.js and AngularJS. Depending on a project we have and customer's requirements, we choose the better variant. Greetings, guys. To begin with I'd like to say thank you to the author. I enjoyed your article and I find it simple and useful. I work at Mobilunity and we provide customers around the world with dedicated developers. We are in this business for already 7 years and, in our opinion, here is what a good developer should look like. As we use only cutting-edge technologies I find this information useful for those who already is a professional and for those who considers what he/she would like to learn. You are welcome to ask any questions.